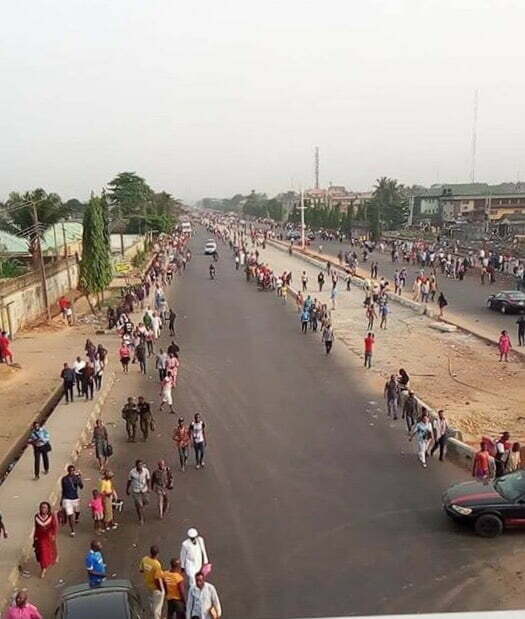 Some parts of Nigeria’s commercial city, Lagos, have been shut down by the authorities due to President Muhammadu Buhari’s visit. Thousands of residents of the state are stranded. Air travelers are also being delayed over the “presidential movement”. Many now trek several kilometers to various destinations as major roads in the metropolis are blocked by military men and the police. Buhari would attend the 66th Birthday of Asiwaju Bola Tinubu at Eko Hotel, Victoria Island, and also be at the official flag-off ceremony for the construction of the Lekki Deep Sea Port Project in Epe. He would also tour the Eko Atlantic City and inaugurate the Ikeja Bus Terminal, among other engagements. Later, there would be State Banquet in his honour at the Lagos House. Affected by road closure and diversions are Ikeja, Maryland, Agege Motor Road, Victoria Island and Ikoyi axis. The Lekki area is also affected. DAILY POST reports that the Lekki Toll Gate was blocked and commenters had to use the alternative route inward Oniru as well as the Lekki Ikoyi link bridge.